It’s always a thorny question for designers: what should you charge your clients? Should you quote by the hour or by the job? Should you create a graphic design price list or create an individualized proposal for each project? The answer is all of the above. In some cases you will charge by the hour directly. In most cases you should provide a flat quote based on how many hours a project is expected to take. Learn how to create your own graphic design price list by following these tips. I call this the Internal Hourly Rate, or IHR, because you will rarely, if ever, quote this rate to a client. The IHR is the rate you plan your quotes and estimates around, and it’s the hourly rate you’ve determined will make you a decent living over the year. You might be tempted to search online and in your area for price lists to base your IHR upon. Seems logical, right? Well, it is, only inasmuch as it can give you a VAGUE idea of what people who might be more or less experienced and talented as you charge. You can check out the AIGA salary survey for a sample of graphic design salaries. 1. Figure out how much you want to pay yourself. When setting your graphic design price list, remember that YOU’RE the client. 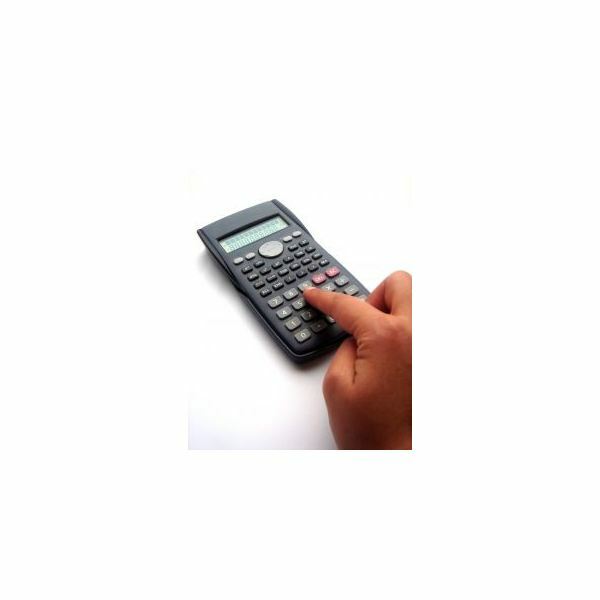 Try the Freelance Switch salary calculator to calculate an hourly rate for yourself. It has you input your business expenses, personal expenses, and how many hours you plan to bill weekly, and spits out an ideal and a break-even hourly rate. Keep this rate in mind when putting together proposals and quotes. By the Hour or By the Job? I stand firmly against quoting hourly rates to anyone except in-house clients. In-house clients are clients whose office you work at, rather than working at home. When working on a project or projects at a client’s place of work, you’re often considered "part of the team" at their workplace and behave as a sort of independent employee. In these situations it makes sense to charge by the hour because the client is paying for you to be there at certain hours to work with them, not necessarily simply for the project itself. In all other situations, you should talk at length with the client about their needs before even thinking of whipping out a graphic design price list. How many pages do they need for their web site? Oh, they need a shopping cart too now? Do they already have photography for their brochure or would they like you to find appropriate stock photos? And in your mind, consider: how revision-happy are they likely to be? Do they require a lot of one-on-one time from you in terms of nailing down concepts or tracking down copy and art? You’ll want to ask lots and lots of questions, take lots of notes, and draw up a quote based on the number of hours you expect the job to take multiplied by the hourly rate that you calculated will best keep food on your table. Remember to factor in however many and kinds of revisions are included in the quote, and the time those could take as well. There are so many variables to keep in mind when quoting a design price to a client that any pre-set price list is going to be inaccurate most of the time. The ideal use for a price list is for your own internal reference. This can be helpful with prospective clients who just won’t take "I can give you a quote after we talk about your needs," as an answer and pressure you to "just give a range." This list covers the majority of the kinds of pieces you’ll be asked to design. I’ve included rough production time estimates for each. Use the hourly estimate to customize your own and reach rough monetary ideas of what each type of project might cost. Do you work more slowly? Increase the hour estimate for the project. The opposite applies to working quickly. Logo – 8 to 10 hours on its own. Includes style guide. Business card – 2 to 3 hours, assuming a logo is provided. Letterhead – 1 to 3 hours, assuming a logo is provided. Envelope – 1 to 3 hours, assuming a logo is provided. Identity – 12 to 20 hours. An identity package includes all of the above. Postcard – 4 to 5 hours. Brochure or brochure-sized newsletter – 15 hours. Flyer – 6 to 10 hours. Booklet or magazine – 2 to 3 hours per page. Poster – 6 to 8 hours. There are many more types of printed pieces you might be asked to design, from CD covers to billboards, but this should give you an idea of how to begin your graphic design price list. Remember to value your time appropriately and don’t undersell yourself. Be firm yet kind with clients about the need to discuss their needs in person. They wouldn’t expect a mechanic to quote a repair cost without looking at the car, and they shouldn’t expect you to quote a firm design cost without you talking to them in detail about their project. Getting information at the beginning will work out better in the long term for both you and your client, and everybody will be happy.